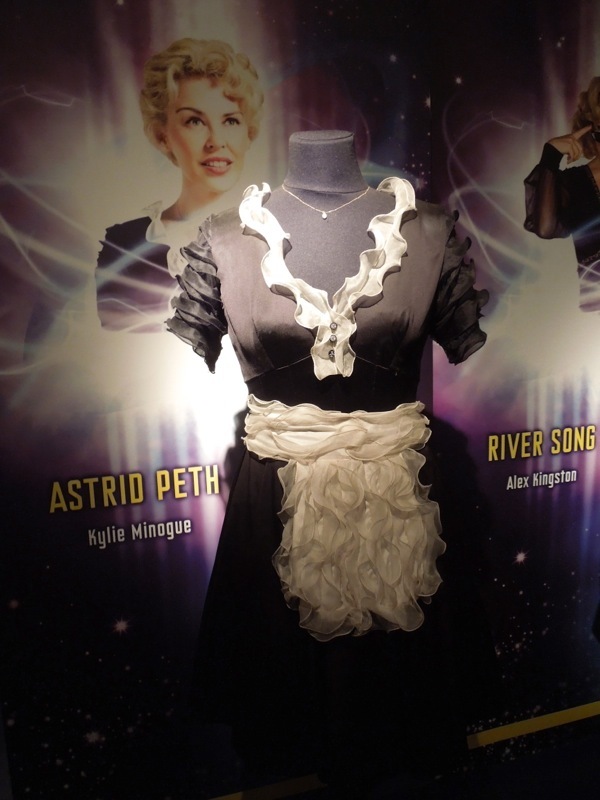 In recent years, Doctor Who who had it's share of glamorous guest stars, including pop princess Kylie Minogue as 'Astrid Peth' in the 2007 Christmas special episode and Alex Kingston as the recurring character (and Doctor's wife) 'River Song'. 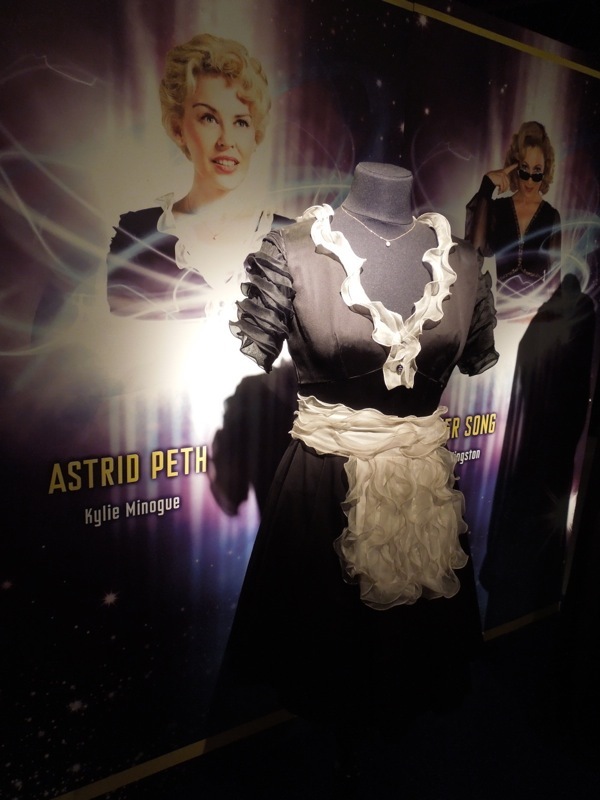 This black waitress outfit and evening gown from the BBC show were photographed on display at the Doctor Who Experience in Cardiff Bay on May 20, 2013. In 2007's Christmas special, Voyage of the Damned, the Tenth Doctor (David Tennant) crashed his TARDIS into a futuristic space liner ominously called the Titanic and is helped by waitress 'Astrid Peth' (Kylie Minogue) when the luxury cruiser threatens to crash into the Earth. Costume Designer Louise Page was responsible for creating the 'cigarette girl' style costume which evoked a 1950's cinema usherette. 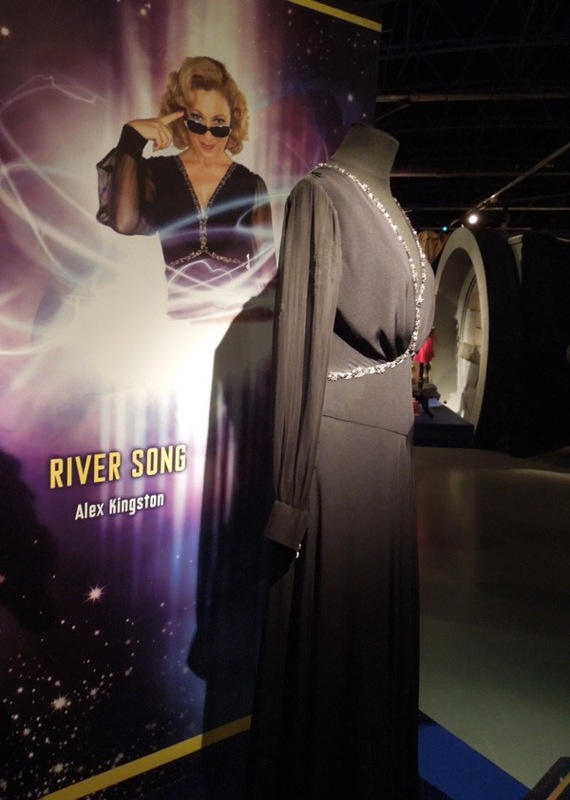 Meanwhile Ray Holman was Costume Designer on the fifth season episode The Time of Angels, which featured Matt Smith as the Eleventh Doctor and Alex Kingston as the archaeologist and his enigmatic future spouse, 'River Song'. In this fourth episode of the fifth series (since the 2005 revival), which was the first installment in a two-part story, the Doctor, his Companion 'Amy Pond' and River Song faced off against the fan-favourites, the Weeping Angels, in the 51st Century. 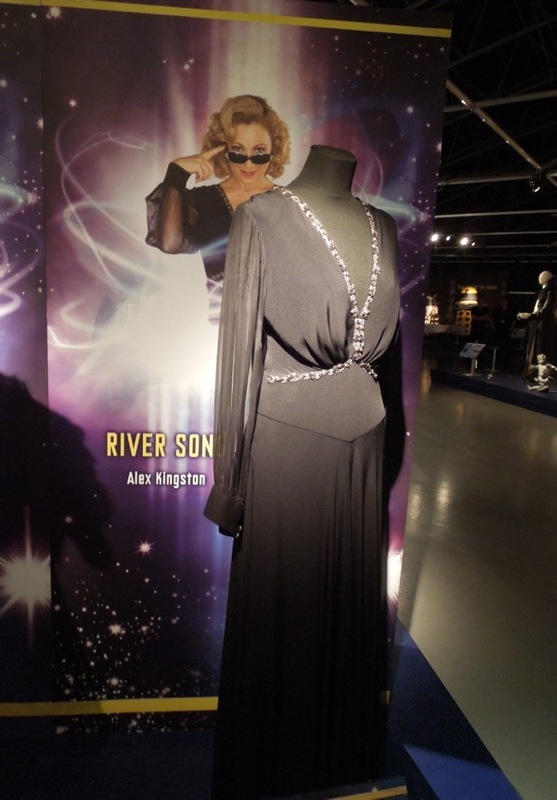 Alex Kingston wore this dress at the start of the episode when she sends a message through time and space for the Doctor to rescue her when she is blown out into the vacuum of space. 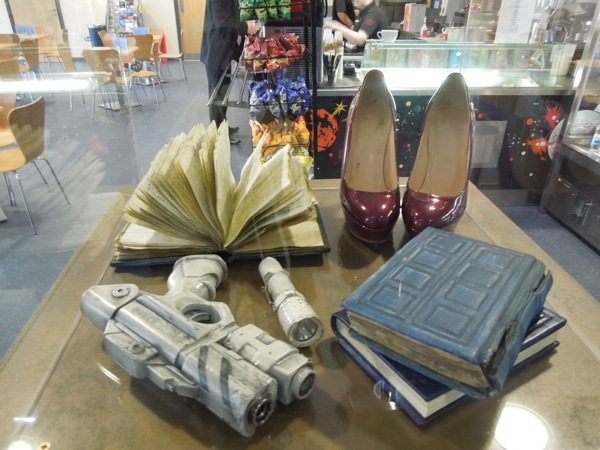 Also on display at the Doctor Who exhibit were these props that the actress uses to portray the character (later revealed to be the time-displaced daughter of Amy and Rory), including the shoes she wore in the same episode with the gown. I especially like her weathered TARDIS-inspire journal/notebook. Come back soon for more screen-used memorabilia from the sci-fi series (what you ask? 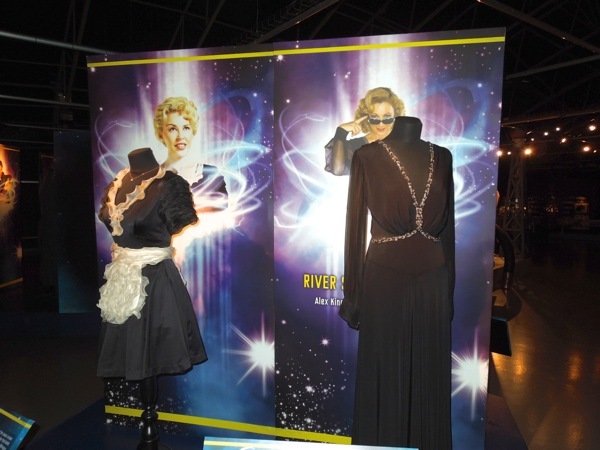 Well as River Song would say, that would be 'spoilers'), and be sure to enjoy these other Doctor Who costumes and props here at Hollywood Movie Costumes and Props.